Hey Davido, did you make those 44 Class locos, they look awesome and I have a feeling that they are only available on TRS2009. Thanks. They're not finished yet but they will be 06 onwards compatible. You probably already know this, but those models look really good! As far as the K and C Sets, they are semi-perma coupled as two car sets with a driver motor and a trailer car, and the trailer car has the pantograph at the number 1 end. For reference sake, the driver sits at the no2 end of the control motor car, so that places the pantograph on the trailer car, immediately behind the power car. I dunno if that helps you at all, but they look great! My Flickr! Feel free to visit. 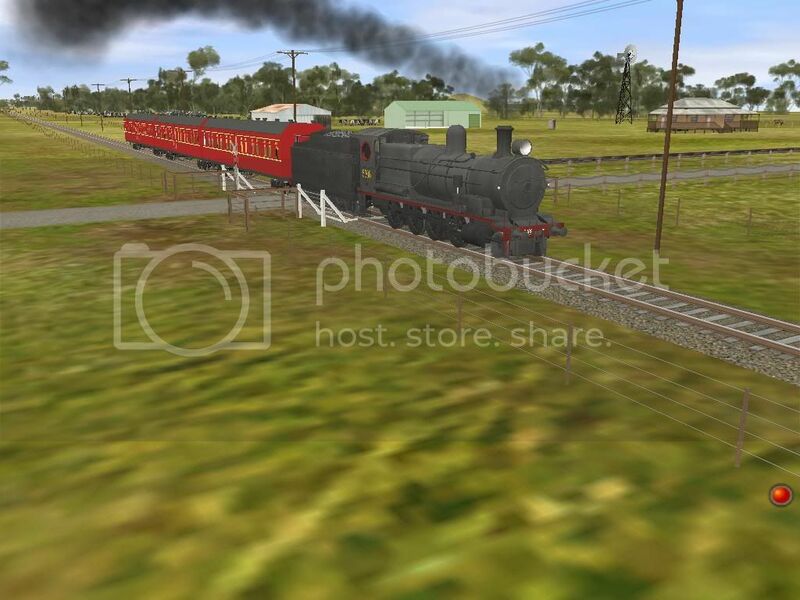 Plenty of photos of trains from NSW, with the occasional sneaky visit into Victoria. probably not as I used the drawings on the city rail site as a reference and it had the pant on the trailer but no mention of a drivers cab and only mentioned as a three car set. However, I have found a drawing of the trailer with the drivers cab and pant so that will no doubt come in the future. I have also found a drawing of the tulloch power car so thats coming as well. Be warned these do not have opening and closing doors. Peter - the C/K Sets run about as 4-car sets, made up of two of the pairs I mentioned in my post above. There is one 2-car C Set (C5) that lost the other two cars to fire a couple of years ago. This runs around as C-T-C-T-T-C where C is a Control Motor and T is a trailer car. 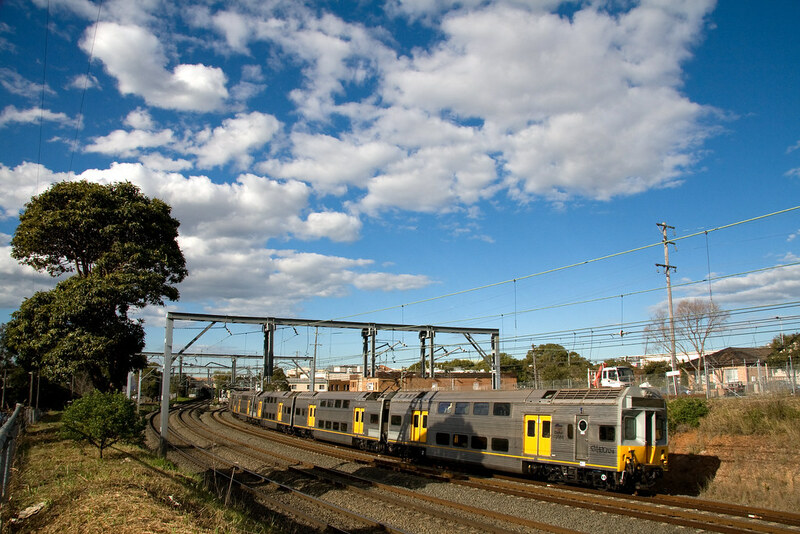 There are four 2-car K-Sets in operation in the Newcastle suburban area, where the trailer car also has a cab, to reduce the need for a four car set. In this case the trailer car is reclassified as "D" (Driver Control Trailer). As the cab is at the no2 end, it is not under the pantograph, rather it is at the opposite end of the car. The car in the foreground is the Driver Trailer (note the lack of a destination board), and features the pantograph, but no motors. The second car is the Control Motor, which has all the motors (and a desto). This is one of the four Newcastle based 2-car K-Sets. In both of these shots, I am standing at the no2 end of the trailer car, looking towards the front of the train. The area where the cab would be on the 2-car K-Set is a passenger area (longer than at the no1 end of the trailer/motor cars). Then you have the pantograph at the no1 end of the car, with a shorter vestibule area. Then you have the motor car, with the cab at the extreme far away end of the image. Now, if Davido plans on making a "Freight Australia" skin for his NTAFs, that I can be of service with, as I took about a thousand photos of the various types of NTAF wagons on a recent jaunt to Canberra! That's very impressive stuff ad602000. What does this train remind Qld'ers of? The "tilt" train heads further north. Would you like some higher quality drawings instead of the CityRail site stuff? I have many that are around 3000 x 1400 and show measurements etc. Ryan, with a reskin that could possibly be our "tilt". But it wouldn't be released would it? Last edited by lenice; October 23rd, 2009 at 09:30 PM. Couldn't reskin something if I tried. No skill, you see. Very nice work Pete, looking forward to these! Will you be doing versions of the C/K/S sets with the headlights? Just noticed, that's a Suburban Multiple Unit! (SMU). I have the IMU and EMU, and a not-so-good SMU, but that looks great! You know what I'm going to ask next, don't you? wow that cityrail stock looks good.